I have been busily painting my first Blood Angel Assault Squad. They are not done yet, but here is what I have so far. I got lucky painting these because I hit the exact shade of Red I was shooting for on the first try. Here is my painting recipe. I started with a black undercoat. For painting the armor, I base coated it with Mechrite Red. I followed that with a 50/50 mix of Blood Red and Water. Then I washed it with Baal Red. To accent the armor pieces, I painted all the areas in between them with Chaos Black and then I lined all the recessed areas of the armor, including around the edge of the shoulder pads, with Badab Black and a very thin brush. For the helmets, I used Iyanden Darksun, followed by Golden Yellow and then washed with Gryphonne Sepia. I then highlighted the edges with Sunburst Yellow. The eyes were painted with Knarloc Green, then washed with Thraka Green. 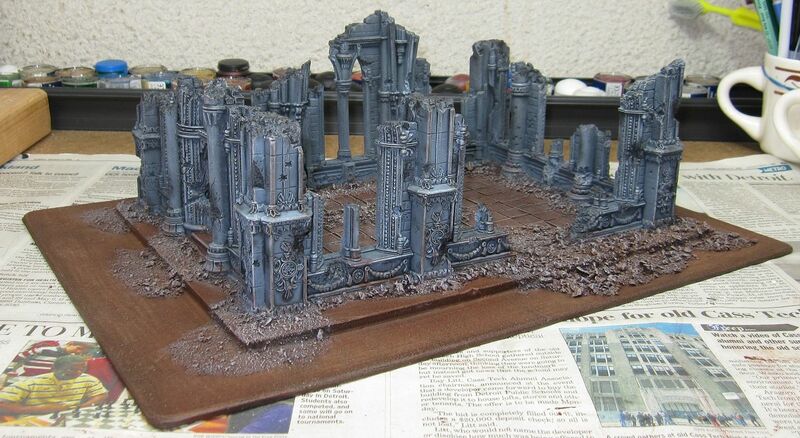 All the metal areas where painted with Boltgun Metal and then washed with Badab Black. I am very happy with the way these models turned out, so now I can start assembly line painting the rest of my army. 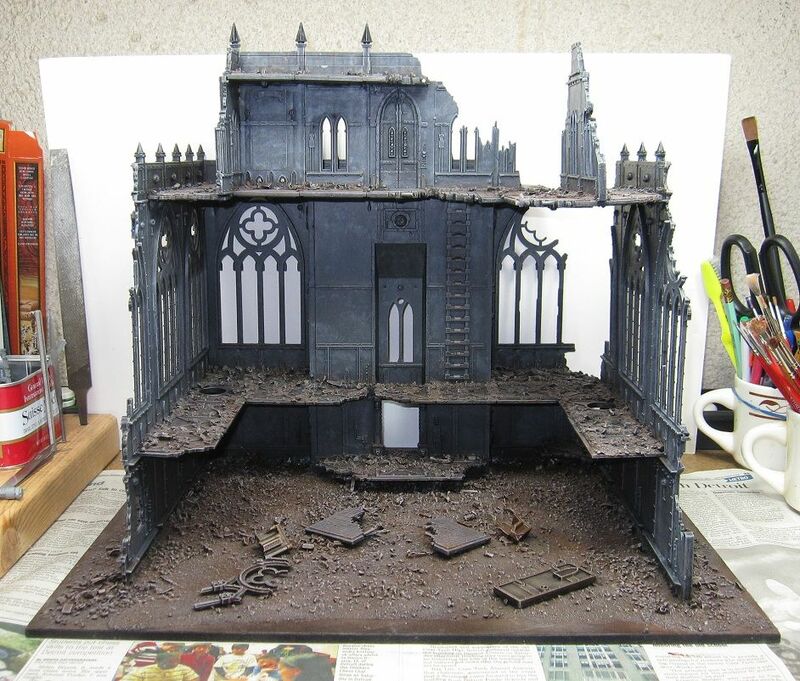 I have completed my 'Finish a Project' Challenge for this month, a ruined cathedral made using Armorcast Ruined Cathedral pieces. Between this and the Shrine of the Aquila that I painted last month, I have the beginnings of my own Cities of Death table. Now I can concentrate on getting some Blood Angels painted. Over the past few weeks, I have been quietly working on a Blood Angels Apocalypse Formation and I finally have it all built. Here it is, the Archangel Skyforce! This formation was printed in White Dwarf 373. 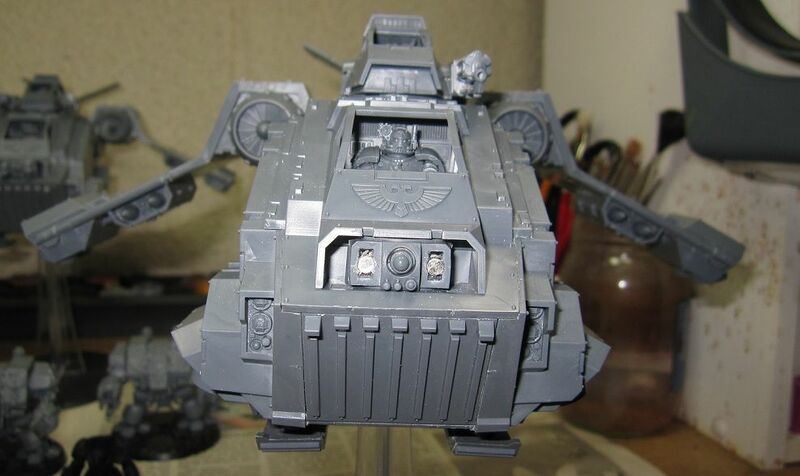 It consists of three Stormravens, three Furioso Dreadnoughts (can use Librarian Furiosos), and three Terminator squads (can be regular or Assault). The cool thing about this formation is that the Stormravens are considered Flyers with the Hover Rule. The formation must begin the game in reserve, but then gets to fly in, drop off the three Terminator and Furioso units, and then the Stormravens can take to the sky again. It sounds really fun to play. It has some other features too, like being able to combine firing all twelve Bloodstrike missiles at a single target and getting to use the APOC blast template. It is not a cheap formation at 200 points plus models, but well worth the price for flying Stormravens. My formation consists of one Librarian Furioso and two regular Furiosos. Two of the Terminator squads are Assault Squads with Thunder Hammers and Storm Shields (well, it is APOC). The third is a regular Terminator Squad with Heavy Flamer and one Chain fist. The Stormravens can be equipped as needed as you will see below. Building the three Stormravens was quite a task, especially because I magnetized practically everything that could be magnetized, including the front guns and doors/Hurricane Bolters on all three. For the turrets, I only magnetized two of them. 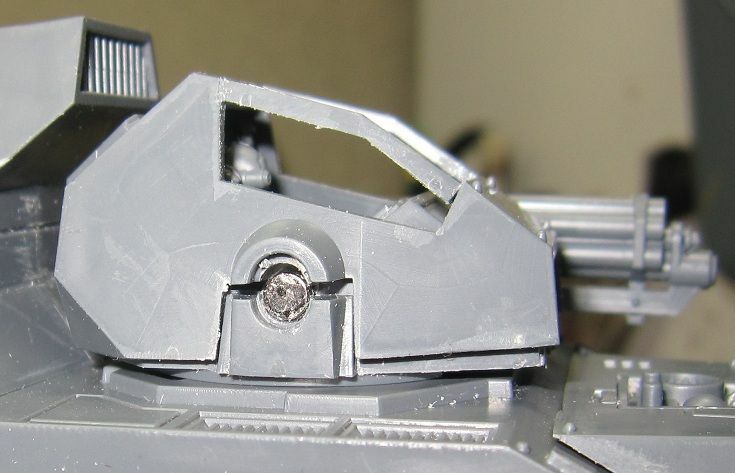 The third turret just has assault cannons. After building these three Stormravens, I hope to never build another. 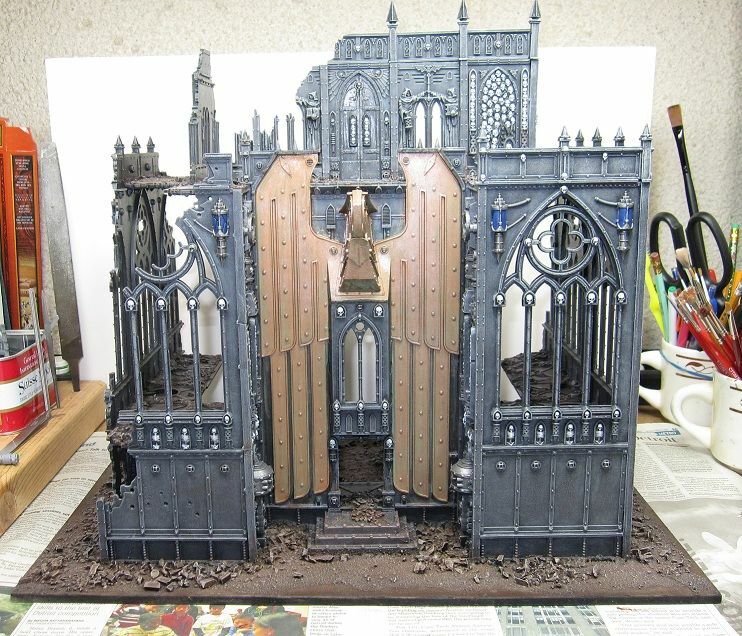 Here are some pictures of all the magnetizing I did. Here is one set of magnetized bits. With any luck, I will get to use this for the first time this upcoming weekend. I will be participating in the local gaming club's Hunt for Jander Hope Campaign that starts in July. I will be playing on the side of the Imperium trying to squash the rebellion. Although I am allowed to play any of my Imperial Armies, Blood Angels will be my main force. Unfortunately all my Blood Angels are unpainted, but I can use this as motivation to get some paint on them. So, I will have to put everything else on hold and get to it. It has also been a couple of months since I played my last game and I am really looking forward to playing again. I am hoping for some APOC action during the campaign because I have a particular Blood Angels Formation in mind that I want to play, but I am going to keep that under wraps for the time being. I have everything I need for it, I just need to get it all built and painted. With all the talk about the new Citadel Finecast line, I decided to give one of the models a try to see how it is. 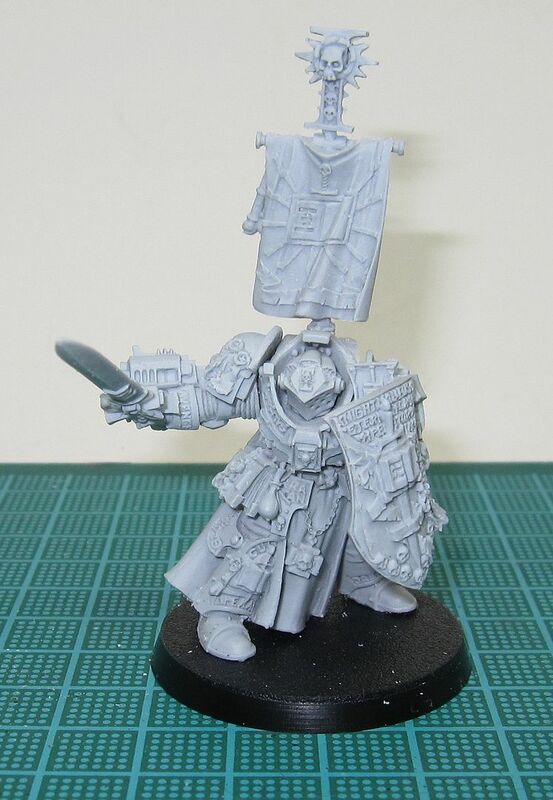 So I picked up Lord Draigo for my Grey Knights. 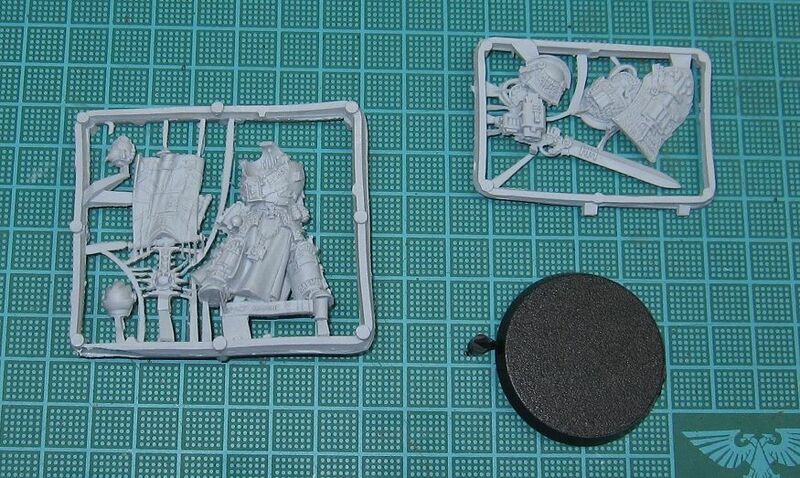 The model comes packaged in the new 'blister' and it comes on two resin sprues. After a quick examination of the sprues, I saw practically no flash on this model and only minor mold lines. There were only two bubbles, but they were small and they were on the bottom of the cape where they would not be seen. 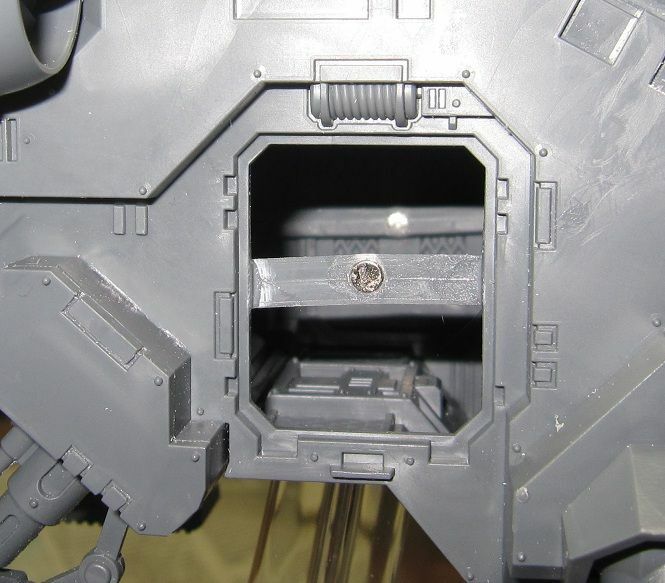 I took extra care clipping the pieces off the sprues so that I would not break anything. 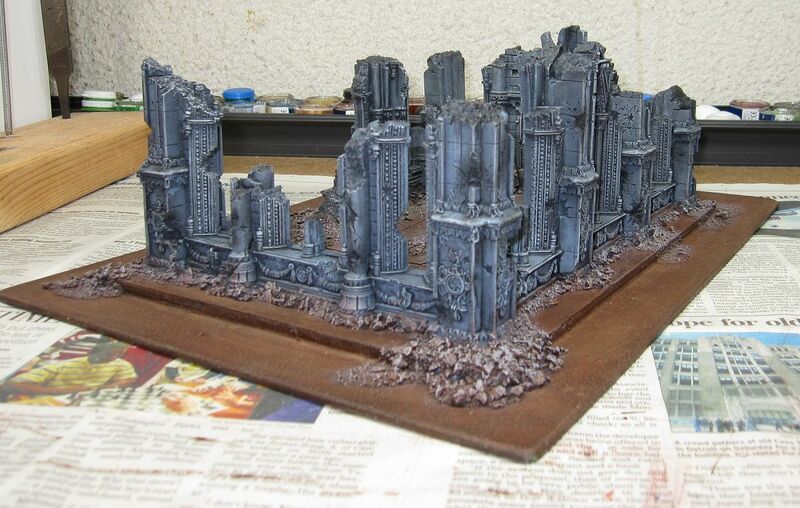 It seemed rather fragile at the time and the resin felt a bit softer than the Forge World resin that I am used to. 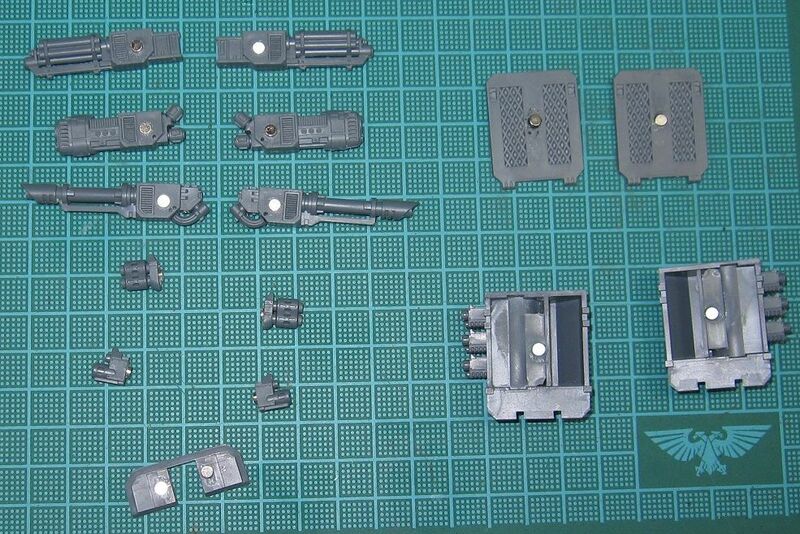 Once off the sprue, the pieces cleaned up quickly and easily. Overall, the model took me roughly 10 minutes to clean and assemble and it looks very good. 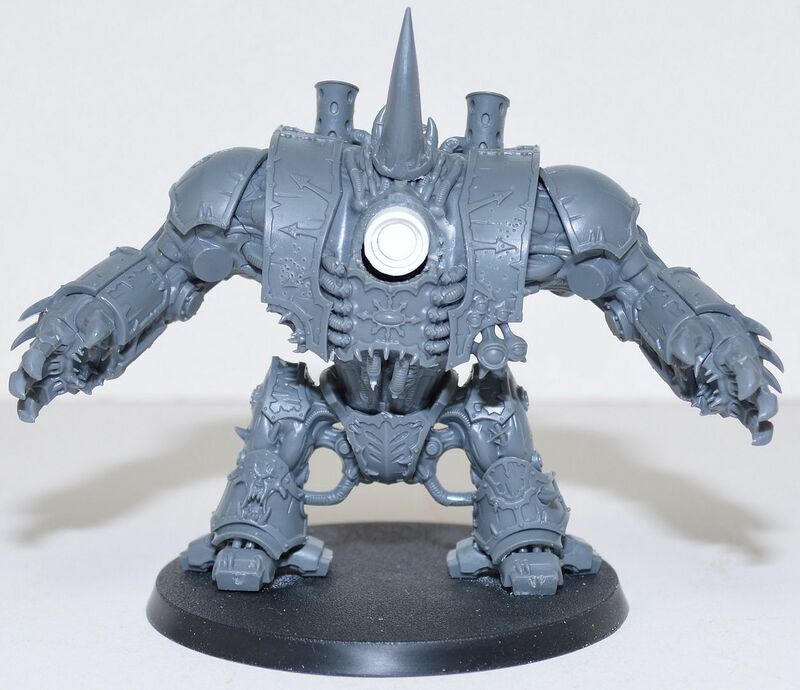 I really hope that all Finecast models are done this well, but after having read some of the other reviews in the blogosphere, I know they are not. 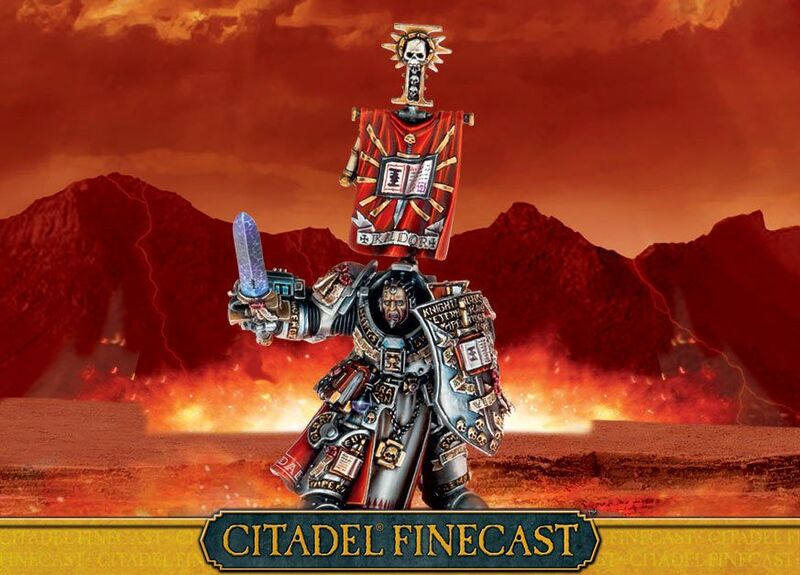 What about you, what are your experiences with Finecast models? I have finished my 40kFightClub.com Painting Challenge project for May. 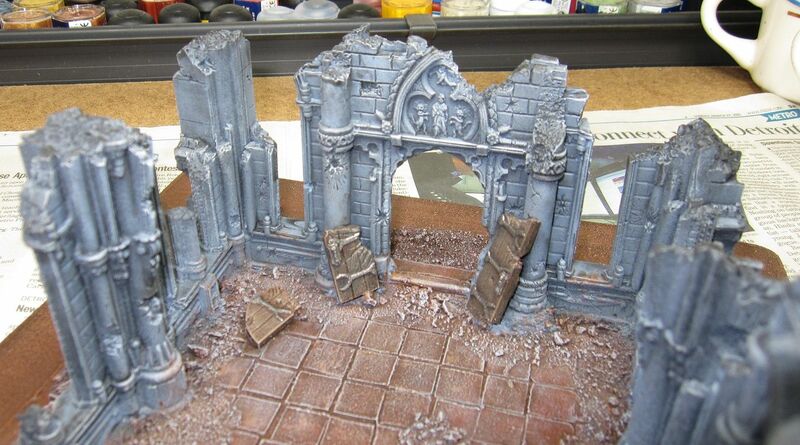 This was quite a project as it is the largest terrain piece I have painted, but it was a lot of fun to paint. I tried a new technique for painting Verdigris on the Aquila that did not turn out as well as I had hoped. It still looks weathered though, so it did the job.